I would give 20* for the service. It was reaaaaally amazing! Great music, food and drink. Sunday lunch was absolutely fabulous. The staff were very friendly and helpful. I have highly recommended to family and friends and we will be definitely dining here again. Blacklock was awesome. We had read the reviews and booked accordingly so we went with real excitement. It lived up to it’s billing. Fantastic food. Friendly service and we cant wait to go back. Sunday lunch will never be the same. Amazing food, amazing service. New favourite, will definitely go back! Great service, even on a busy bank holiday evening. Food and wine even better with good recommendations from staff. 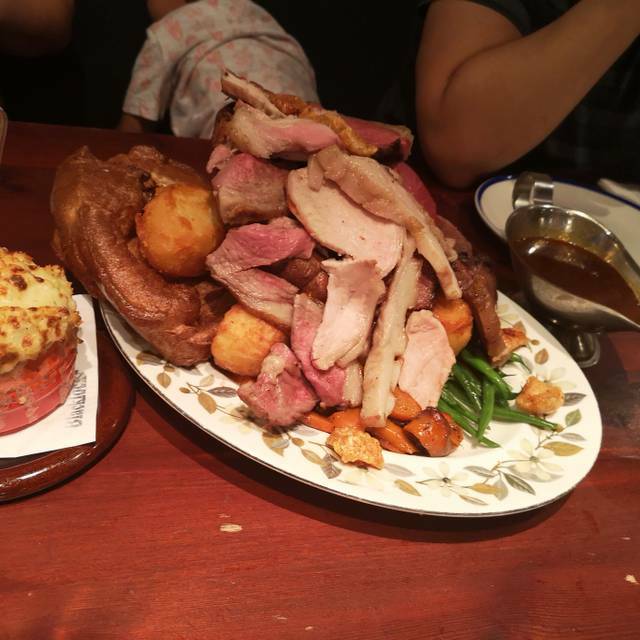 The best Sunday roast in London!!! Would for sure recommend to a friend. The food was amazing: we were presented with a huge pile of beautifully cooked meats, giant yorkshire puddings and delicious potatoes and vegetables with lots of homemade gravy and sauces. All the staff were very friendly and attentive and the Beefy Mary cocktails were so good I would go back just for another one of those! It was excellent value for money too, we will definitely be returning. 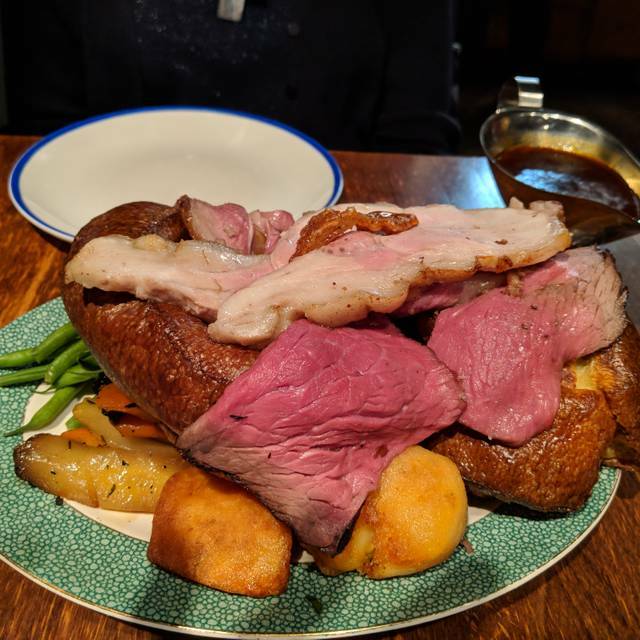 The sunday roast is very fairly described as the best on london, but what tops this off is that the staff are always great. I always have great service here, which is why I keep coming back and keep on sending people here. Food was great and fairly priced. The food was fantastic and given the previous reviews that wasn’t completely unexpected. What stood out though was the quality of the service. They guys were friendly, knowledgeable and did everything to make sure we had a great time. We’ll definitely go again! I'm always treated like an old friend. Greeted with a hug or a handshake. This time was for my boy's 18th birthday and they treated him like a king. Food was amazing and great value, was also very impressed with the service. The only thing I would say is that we got there 5 minutes early but we seemed to wait longer for our table and I wouldn’t have minded but it was very crowded and I felt in the way standing there with people always trying to get passed. Also there was unfortunately a group of about 6 men sat behind us at our table who were quite rowdy and loud. Other than that it was great and I would definitely come again and recommend to friends and family. 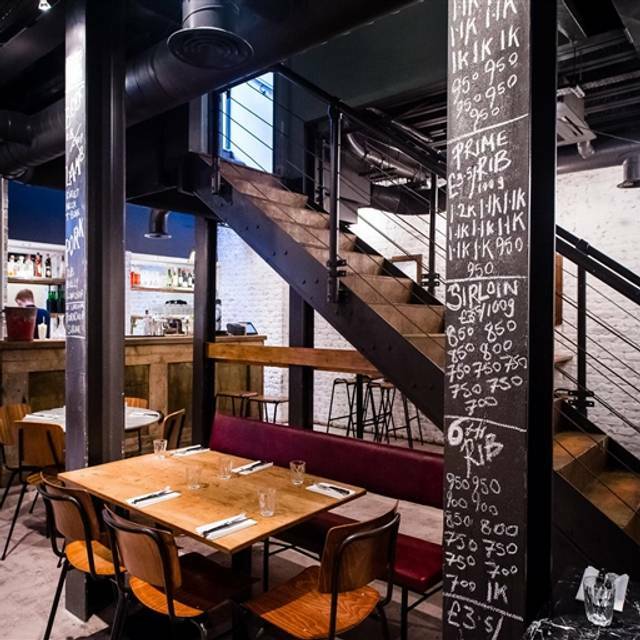 Absolutely loved this place, vibrant & lively basement restaurant, perfect for a Friday night in London. 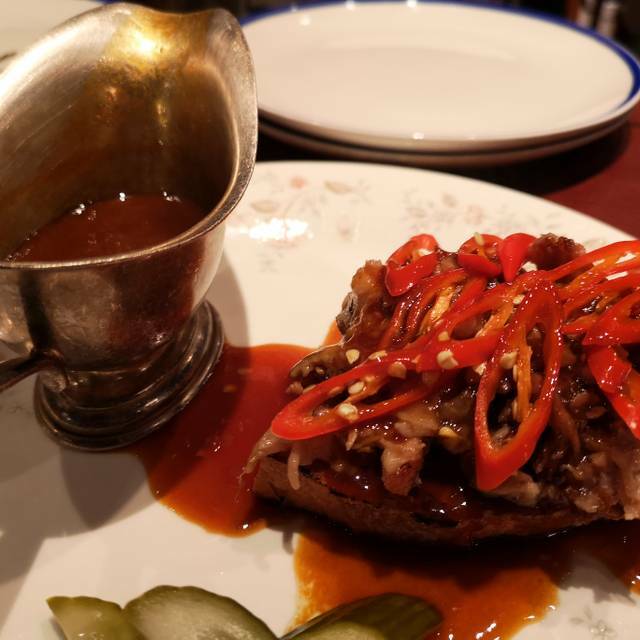 Being our first time didn't quite get the menu, but the staff were really helpful and quickly made recommendations, which were absolutely spot on & brilliant. The food was fantastic & look forward to a return visit. Wonderful staff, excellent food, fabulous cocktails, good value for money. Can an evening out get any better? Add in proximity to Theatres and everything is perfect. Happy customers. Fantastic helpful friendly staff - know the food really well and gave great advice. Definitely would go again. An excellent venue with genuinely friendly staff explaining the menu at the first place and allowing us to take our time. Also a reasonably priced venue for brilliant steak and will be returning again! Once again the food service and ambience superb. 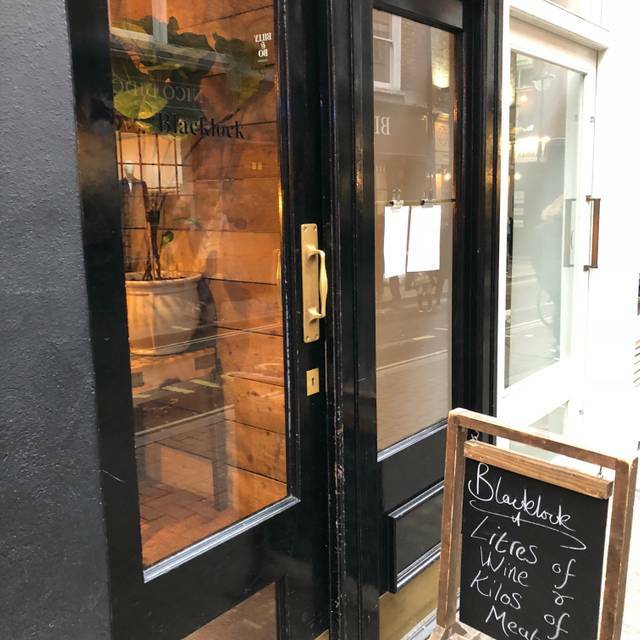 Blacklock is an awesome steak restaurant - we did the £20 per head tasting menu which is not only good value but more than enough MEAT to contend with. Am looking forward to my next visit! Took my mum for her birthday and I was overwhelmed by all the thoughtfulness from Andrea and the Blacklock team. I’ve always been a regular at this restaurant and it will continue. I can’t recommend this restaurant enough. 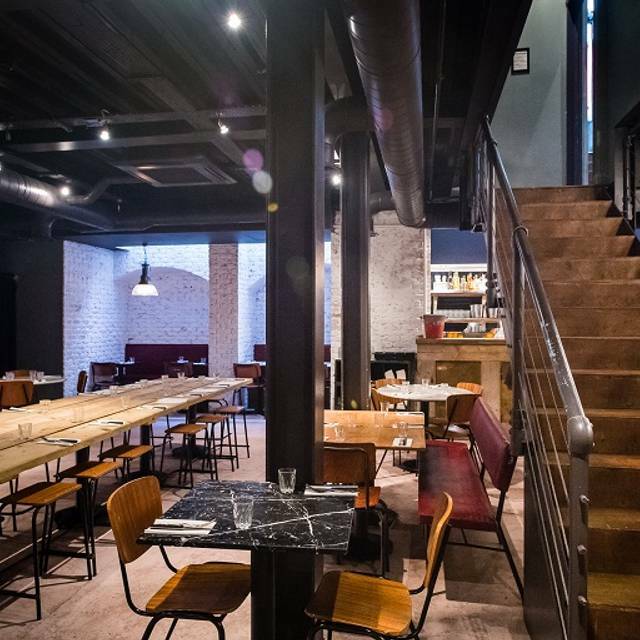 Had a fantastic experience at Blacklock - the food was incredible, the staff were really friendly and attentive, lovely atmosphere, great cocktails - and the price is really reasonable. It was my boyfriend's 30th, and the staff really went the extra mile - brought him out a dessert with a '30' candle, sang to him and had even made him a card! He pretended that he didn't love all the attention, and I was really impressed that they went to such an effort. We'll definitely be back! Amazing food! 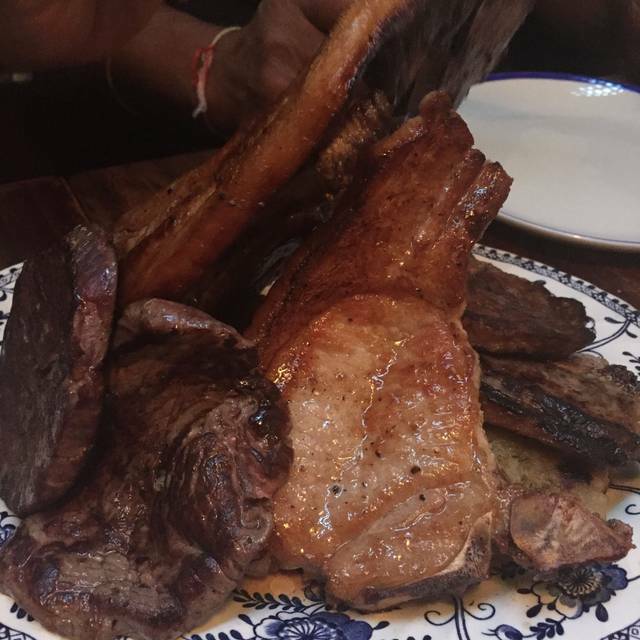 Were there on ”butchers monday” and ate the rib eye steak! The meat was cooked to perfection and the sides were delicious! Don’t miss out on this gem! Visited with our young teenage son on a Monday night. Great deals on all chops on a Monday, the atmosphere was just buzzy enough without being hectic and the food was terrific. Our son was really well looked after by the wait staff, as were we. A fantastic pre-theatre option. Absolutely fabulous. Would definitely go back again. With you having to book so far in advance, I had very high expectations. But, believe me when I say it’s the best roast I’ve ever had. Every part was amazing. I will definitely be going back when I get the chance!! Best roast in London. Everything is done brilliantly. Everyone should go! 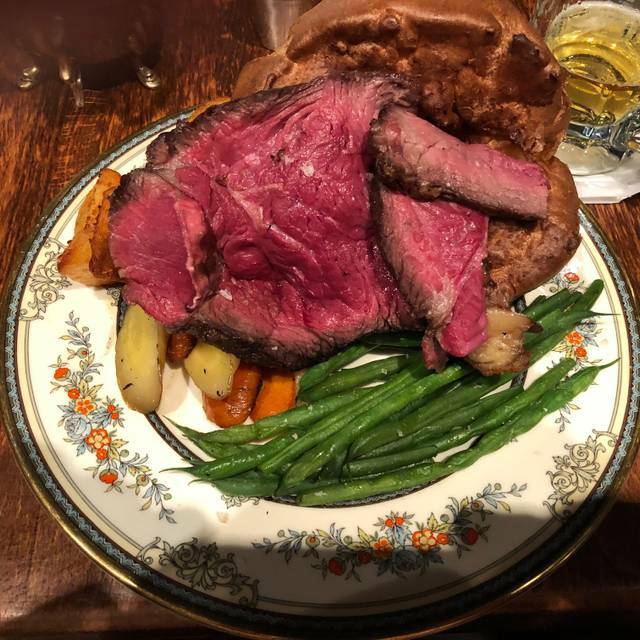 We have been trying to do Sunday roast at blacklock for about 3 years, but due to constant bad scheduling and overall business at the restaurant on sundays we never did. It is worth it. I really liked it. Simply the biggest and the best. 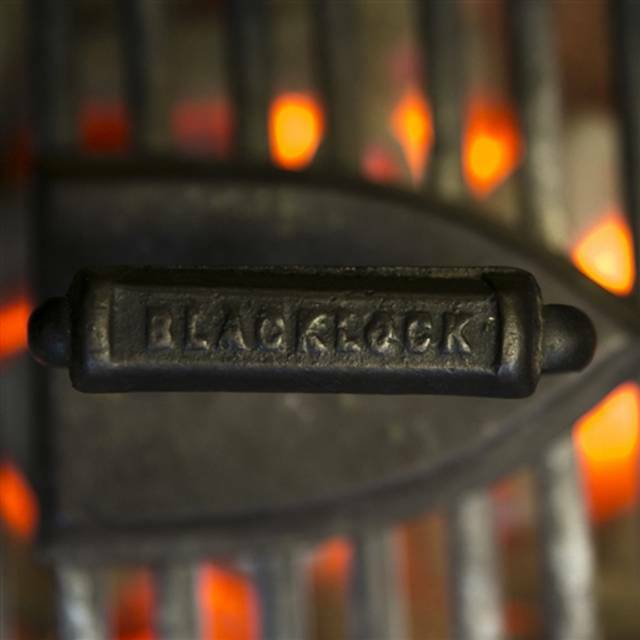 After visiting Blacklock more than 3 years ago I am trying to find a better Sunday roast especially for value for money. I’ve introduced it to family and friends and they all agree. We had a fantastic evening! food was outstanding, service fun dynamic and attentive! Phenomenal food and staff. Have been lots of times and never disappoints. Staff great atmosphere great food great. Loved it. Great meal, let down by an arrogant waiter telling us desert was conditional on us moving tables even though we had 35mins left of our 2hr slot. To be fair it seemed he was misinformed but unfortunately it took about 10mins for him to realise this by which time he had come out with some fantastic lines such as “I will just have to leave the other party standing in the door way”. The manager eventually apologised but even he was confused about the timings to begin with. We left without desert & on a low note. The manager did take service and a couple of drinks of the bill which we were grateful for. I can’t fault the food & normally service is excellent but on this occasion it was way below par. Love this place...the best porterhouse steak I've had, great for sharing! Always such a pleasure eating at Blacklock Soho. Couldn’t recommend it enough! They went the extra mile for my friends birthday and the food was amazing. We both had a great lunch! Thank you!! !